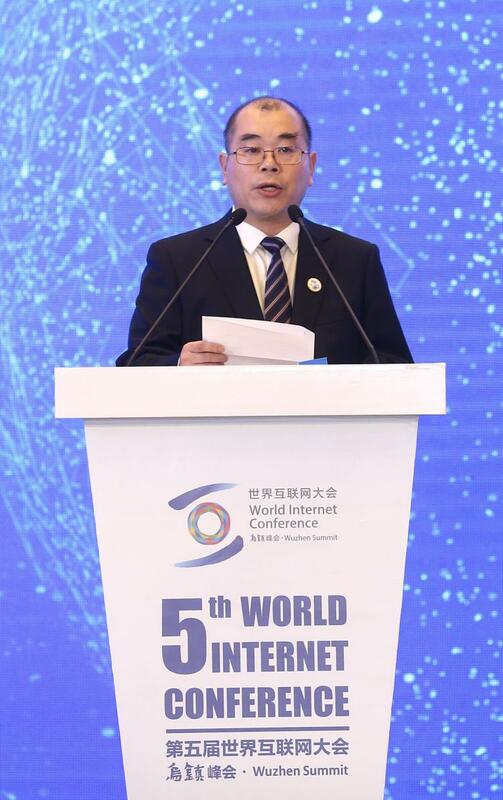 A ministerial forum themed, "Bridging the Digital Divide", was held in Wuzhen, East China's Zhejiang province, on Thursday, serving as a sub-forum of the fifth World Internet Conference (WIC). More than 20 speakers from 14 countries, including ministerial officials, heads of telecommunication companies, scholars and experts attended the forum and discussed topics such as "Digital Divide and Economic Development", "Digital Divide and Information Sharing" , and "Role of International Communication on Bridging Digital Divide". The internet has profoundly changed people's work and life, and has strongly promoted social and economic development. The internet is the cultural result of all human beings, so internet development should benefit everyone, said Zhuang Rongwen, minister of Cyberspace Administration of China, in his speech at the forum. 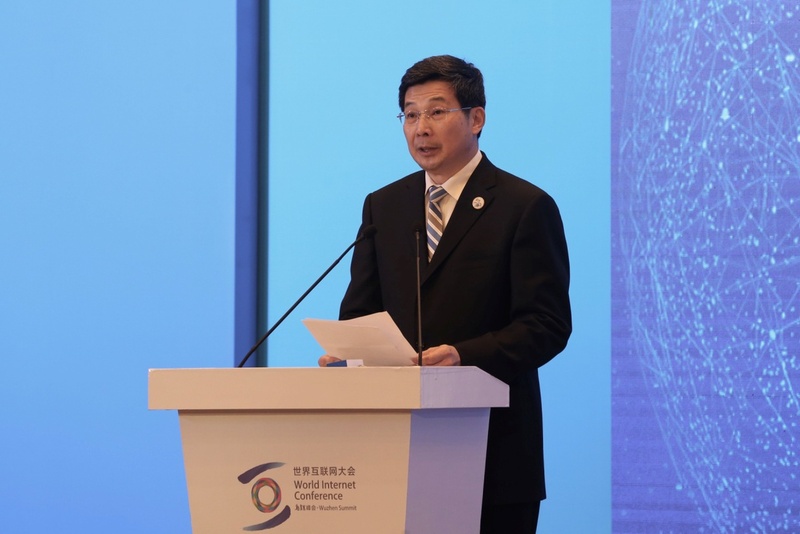 "Various regions should make concerted efforts to speed up internet popularization and connectivity, and enhance the world's network infrastructure, so as to narrow the digital divide existing among different countries, areas and groups," Zhuang said. "We should deepen cooperation in internet applications to poverty alleviation and coordinated development and vigorously develop rural e-commerce to turn the internet into a tool to help people become rich and happy and make their dreams come true. We should deepen cooperation in improving network services and promote information services, while making efforts to build a digital government and a smart society and to provide people with more affordable, more convenient and better quality information services," he said. "We should strengthen cooperation in enhancing people's internet literacy and abilities and strengthen the training of digital skills to help them improve the awareness and capability of network security protection," he added. 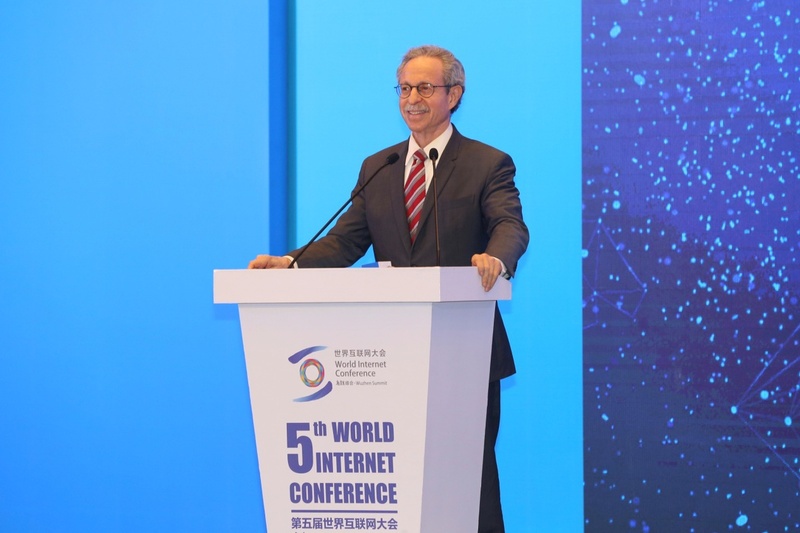 Zhuang also said that China would like to join hands with the rest of world to promote more inclusive, comprehensive and balanced internet development through expanding win-win cooperation to more people to take the express train of internet development, share the fruits of internet development and create a happy life. In his speech, Zhu Guoxian, member of the Standing Committee and head of the publicity department of Zhejiang provincial CPC committee, said Zhejiang, having conscientiously implemented President Xi Jinping's people-centered philosophy of development and taken improving people's well-being as the starting point and objective of bridging the "digital divide" over the years, has vigorously implemented the "No1 Project" of digital economy, taken the lead nationwide in launching the "At Most One Visit" reform, actively promoted the digital application of people's livelihoods and vigorously carried out the "internet plus targeted poverty alleviation". Zhejiang has become a province veritably strong in the internet industry and a development highland of digital economy, with the proportion of the digital economy accounting for nearly 40 percent of the province's total GDP, and both the total amount and amount per capita of mobile payment in the province rank second in the whole country, according to Zhu. "Internet has brought the people of Zhejiang a more fulfilling sense of happiness and a sense of well-being," he said. Zhou Shuchun, publisher and editor-in-chief of China Daily, said in his speech that in accordance with President Xi’s proposal of "taking common progress as the driving force and taking win-win as the goal", the "digital divide" should be eliminated in promoting building "a community with a shared future for mankind" to change the "new variable" of the unbalanced development of the internet into a "new increment" in eliminating the gap between rich and poor. Zhou said the "digital divide" should be bridged in the process of maintaining and deepening economic globalization and the formation of a global digital market should be promoted to give the digital economy a new momentum in the new stage of economic globalization. In addition, the "digital divide" should be bridged in promoting the construction of the Belt and Road Initiative to let the "Digital Silk Road" become a road to benefit the people of all countries, Zhou added. During the keynote speech session, Chinese and foreign guests and experts delivered keynote speeches on the topics including "Digital Divide and Economic Development", "Digital Divide and Information Sharing", "the Role of International Communication in Bridging the Digital Divide", and shared their unique opinions and innovative ideas to jointly offer suggestions for bridging the digital divide. 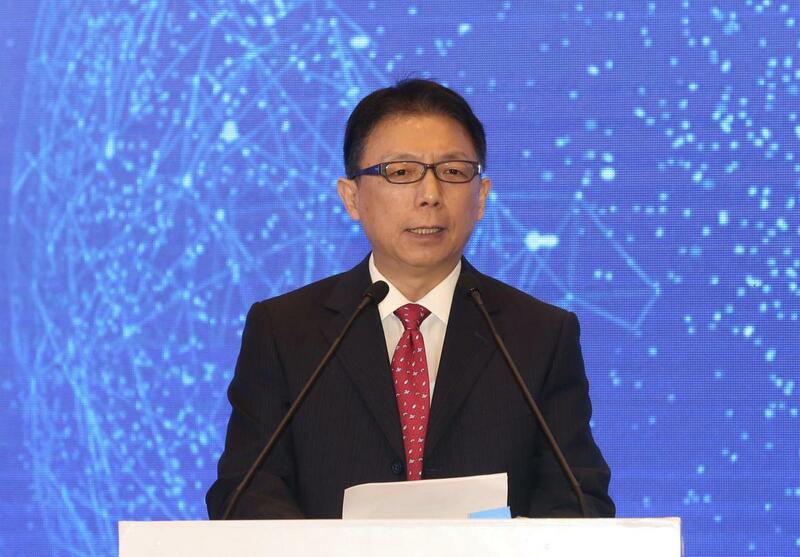 In his speech, Zhang Fuhai, member of the Standing Committee and head of the publicity department of Liaoning provincial CPC committee and director of the Liaoning Provincial Office of Cyberspace Affairs Commission, introduced the achievements of Liaoning in promoting the development of the digital economy. He believes that standing at the forefront of internet development, we should accelerate the construction of a new generation of high-speed, mobile, secure and ubiquitous information infrastructure, promote the application of next-generation information technology, foster new industrial development, and release technology dividends, institutional dividends and innovation dividends. He also said we should enhance government governance and promote economic transformation and development. Wu Zhaohui, president of Zhejiang University and member of the Chinese Academy of Sciences, said in his speech informatization is making education more convenient and inclusive and constructing a new space for running schools through informatization is the key to expanding the coverage of high-quality educational resources and bridging the gap of higher education. 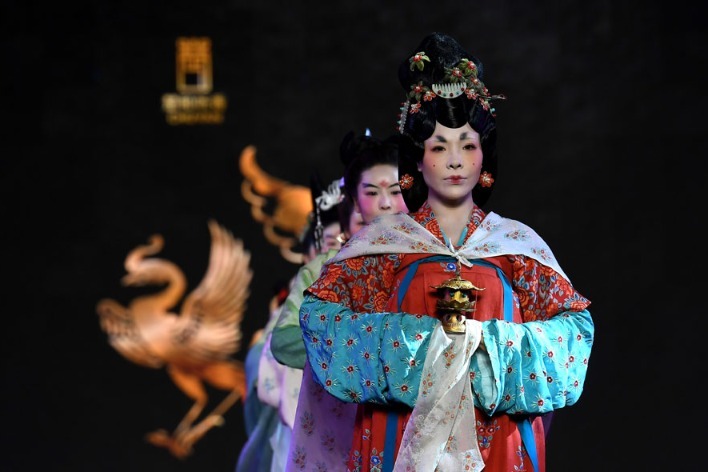 Liu Yuzhu, director of the State Administration of Cultural Heritage, proposed that to bridge the divide, the internet's way of thinking should be adopted, which requires the "interconnection" of ideas, resources, information, mechanisms and industries. It is necessary to give new life to cultural relics and let cultural heritage promote idea exchanges, dialogue and communication among civilizations. "I have discussed a lot during the last days with Chinese entrepreneurs, and I was really thrilled to hear how they have ideas. They have also the force to take risks and to put these ideas into practice," said Viviane Reding, member of the Luxembourgish Parliament, former vice-president of European Commission. "I think we have a lot to learn from your entrepreneurs. And I would really wish that in the future we can share our experience, both the positive and negative ones, we can learn from both of those. We can solve the problems and they can be solved very quickly, if we join force," she said. Garba Shehu, senior special assistant to the President of the Federal Republic of Nigeria on Media and Publicity, said they are taking concrete steps to reduce digital divide. Chinese Companies like Huawei have played an important role in helping our push at digital inclusion. "The more we use digital technologies, the more we should make sure that every citizen has the knowledge and skills to seize the opportunities provided by the technologies," said Gabriel Lim, permanent secretary of Ministry of Communications and Information of the Republic of Singapore. The forum was hosted by China Daily and co-organized by the China Internet Development Foundation, China Telecommunications Corporation and Zhejiang University. 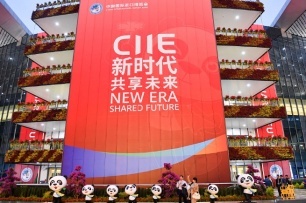 More than 300 people from Chinese and foreign government departments, Chinese and foreign internet enterprises, experts and scholars, representatives of authoritative research institutions, and media reporters attended the forum.